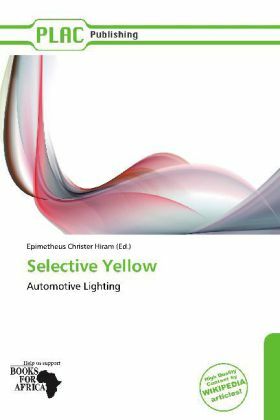 Selective yellow is a colour for automotive lamps. Under ECE regulations, headlamps were formerly permitted to be either white or selective yellow in France, selective yellow was mandatory until 1993. Both the internationalised European ECE Regulation 19 and North American SAE standard J583 permit selective yellow front fog lamps. ECE Regulation 48 currently requires new vehicles to be equipped with headlamps emitting white light. However, selective yellow headlamps remain permitted throughout Europe on vehicles already so equipped, as well as in non-European locales such as Japan and New Zealand.